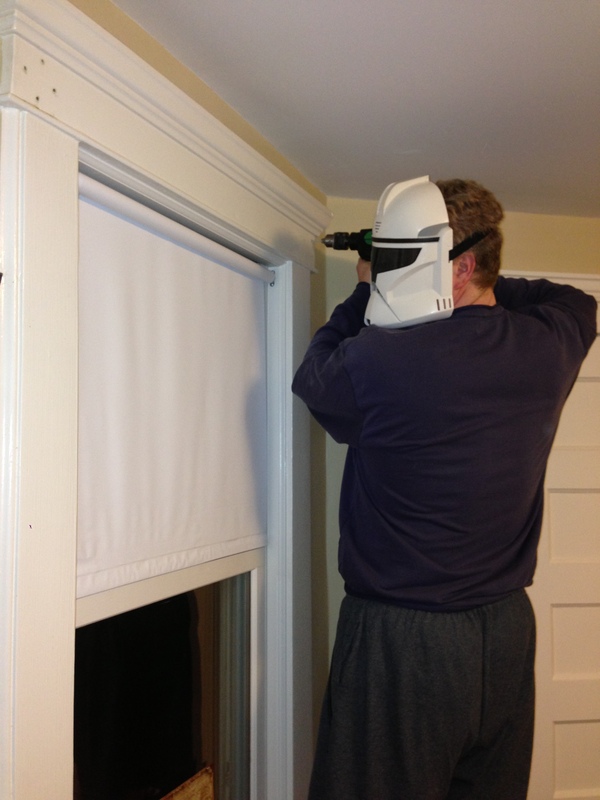 Okay, nobody told me that I couldn’t do a one day install like they do on tv!! 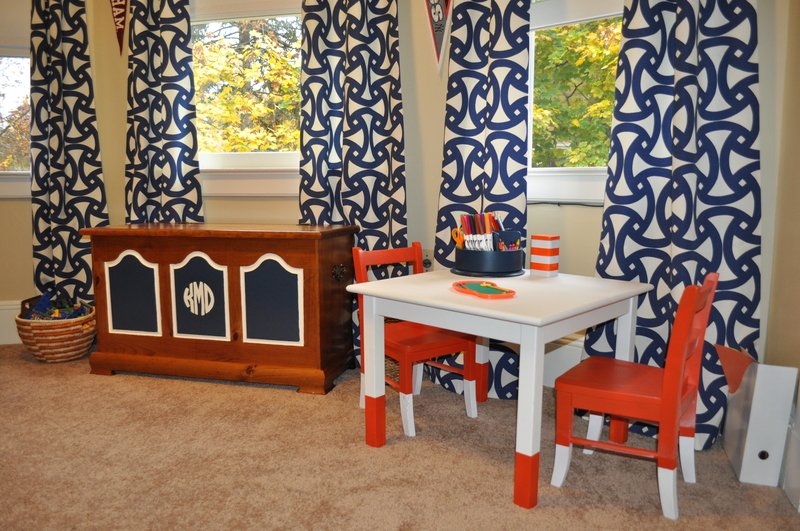 I guess they have a whole crew… So here is Kevin’s finished room. I hope you like it. Kevin loved it and has thanked me a hundred times already! 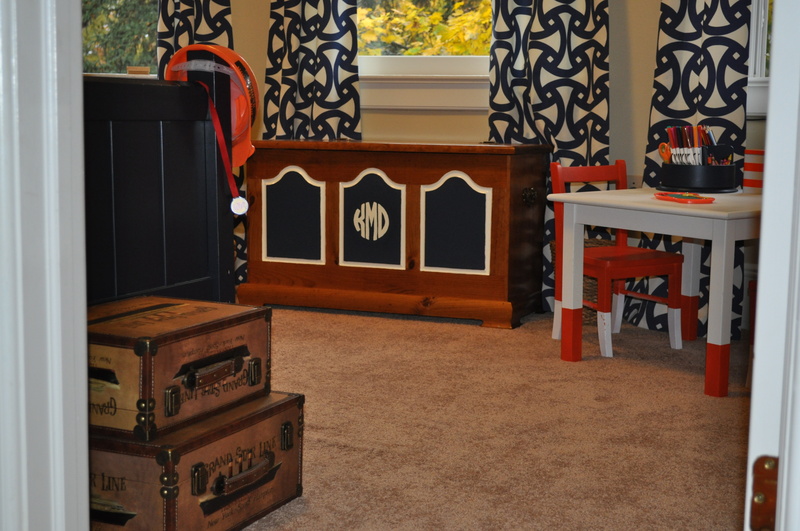 For those of you just visiting, Linda at Calling It Home provided a link party to her 6-week One Room Challenge and provided me the fire to start a blog and get this room done. Thanks Linda! 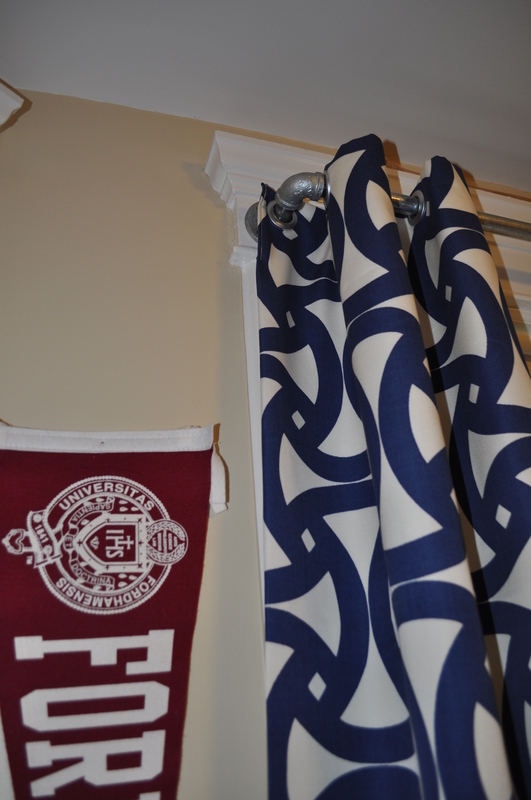 To see everyone’s beautifully finished rooms, check them out HERE and HERE. 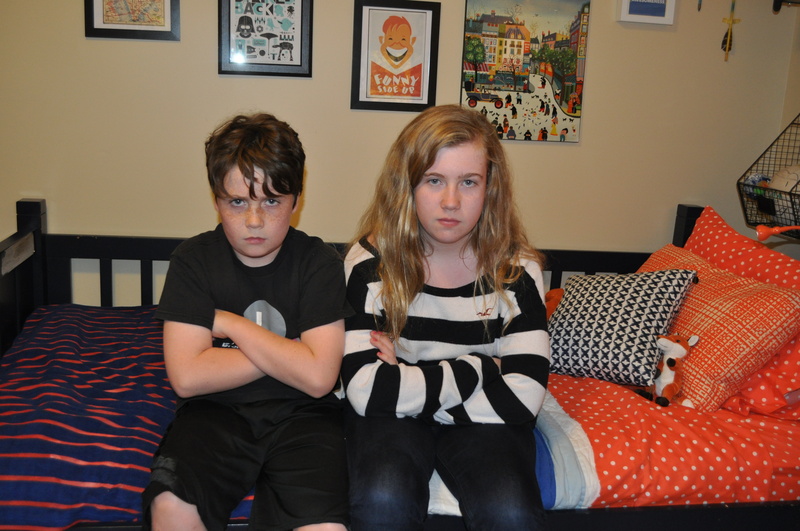 To see Kevin’s room from the start, click HERE. 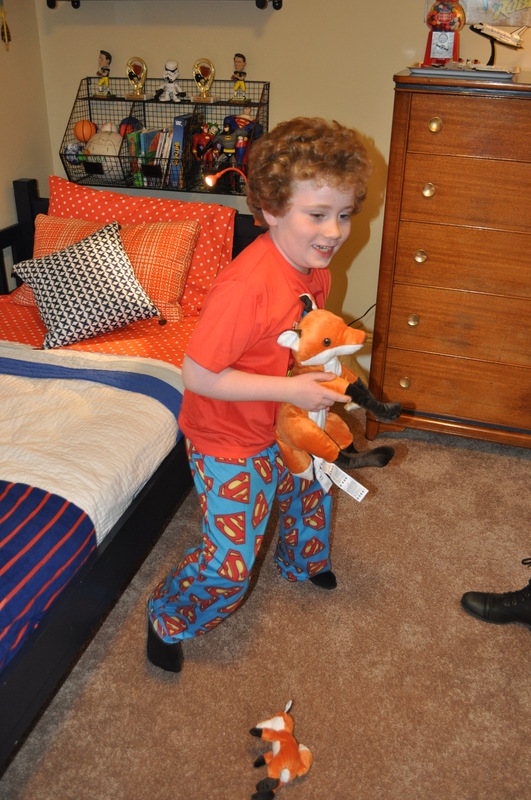 So Kevin was ecstatic about his room! And a huge thank you to my crew!! Mike was my gopher today doing anything I asked, Kevin was my muscle (and also cracked me up with his creative use of safety goggles/mask) and Anna my spray-painting genius! Now, I’m going to go pour myself a glass of wine and take a look at everyone’s rooms! Thanks for stopping by! This post has also been linked to The Dedicated House. You have a great crew of helpers! 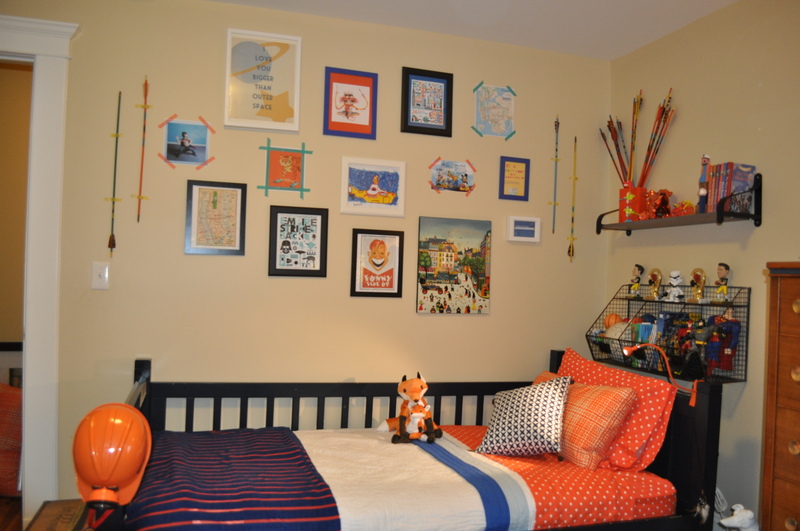 Love the gallery wall – adorable! 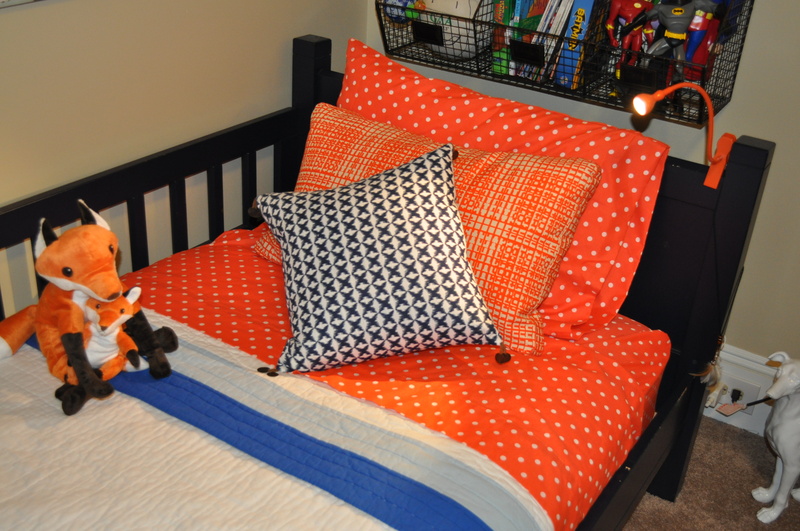 And the fun mix of throw pillow colors and patterns is perfect. Even your organizing accessories are well though out and fun. Stunning curtains! 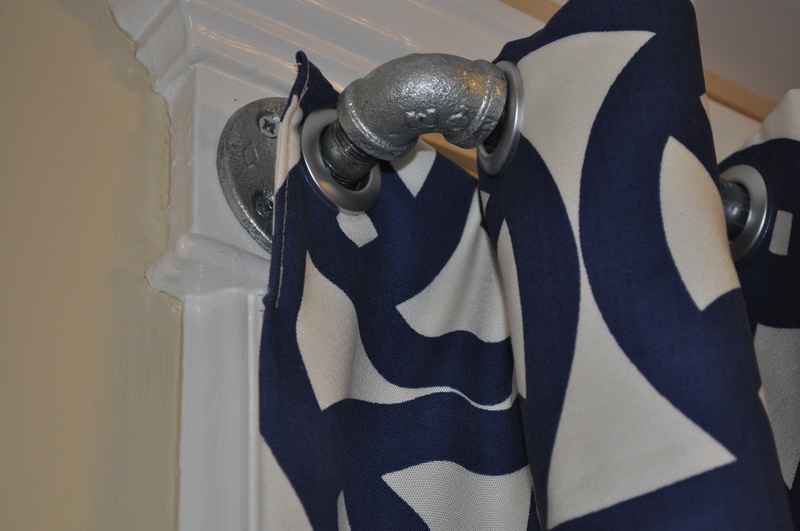 Love the plumbing pipes and fabric! Such a great room!! Looks amazing! 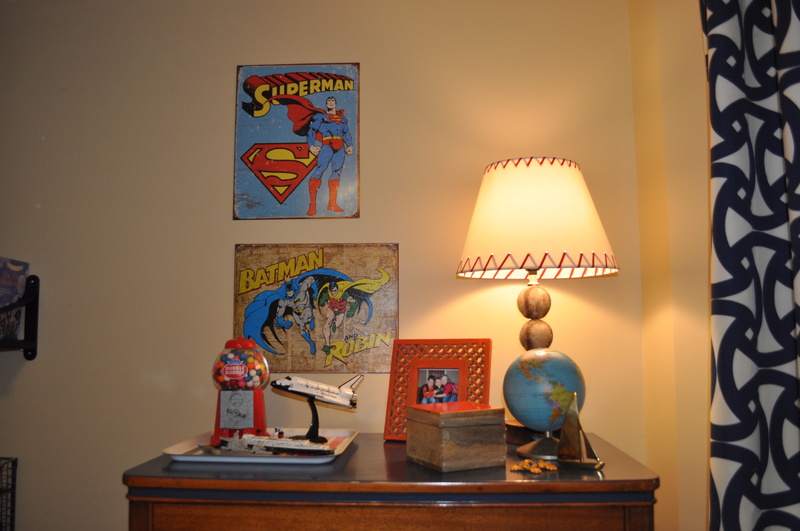 I love all of your creative and fun finds from home goods to thrift shops. 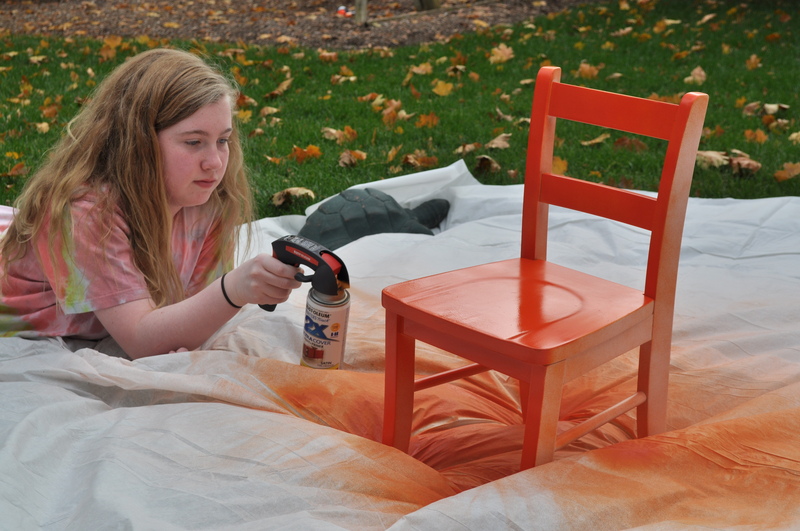 The colors are great and everything is pulled together perfectly. 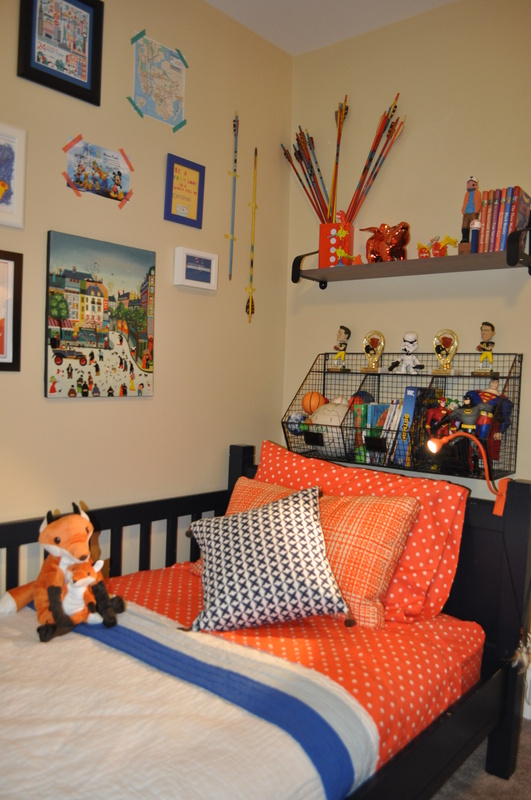 Kevie is a lucky boy and I am certain he will just love his gorgeous new room ! Looks Awesome!! 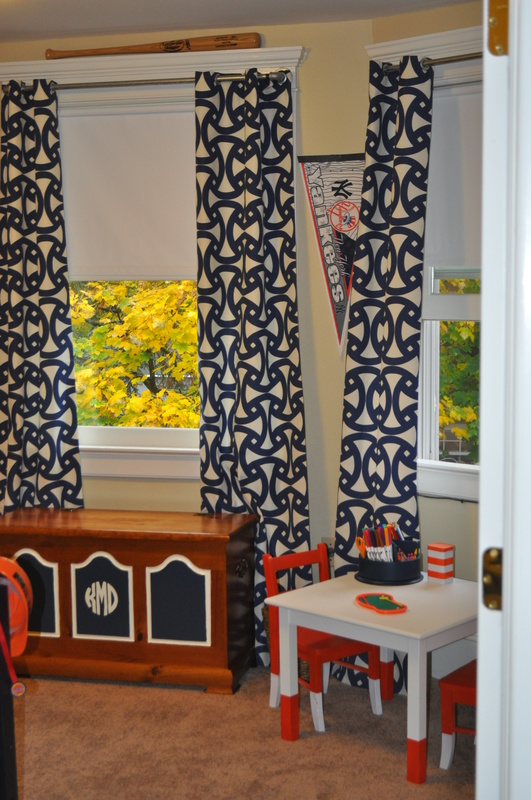 Love how the curtains ground the room and the colors are so fresh. 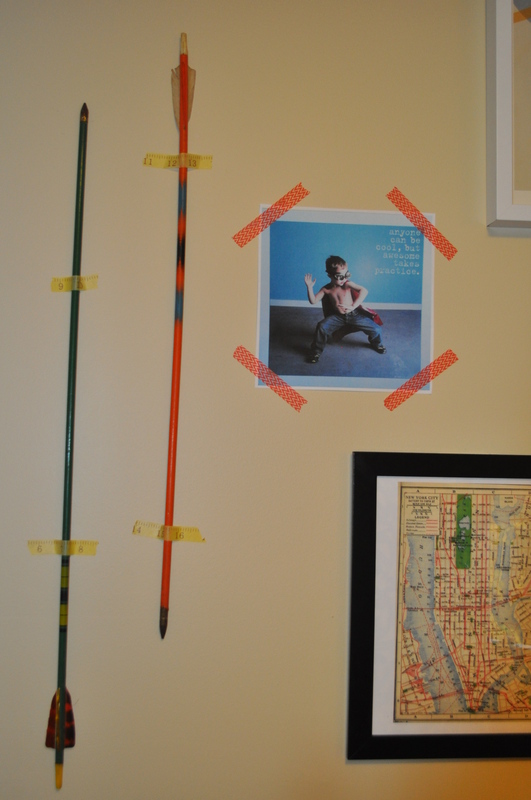 The arrows are such a great accessory…well done!! Thanks! 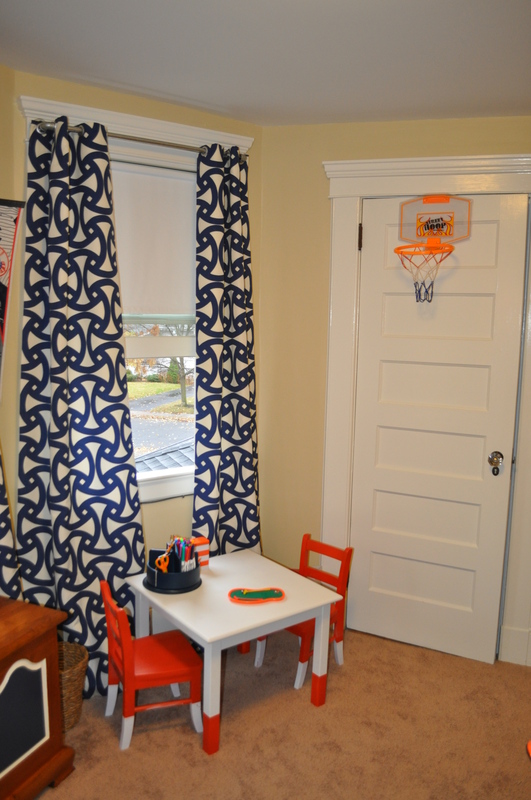 I bought that fabric a year ago and i’m so glad I used it for this room! How funny is Kevin! Nobody can do an install like they do on tv….it’s not real, and this is. I love the space. That gallery wall has so many fantastic ideas in it. You worked so hard and it shows. Well done. How was your first six weeks of blogging? 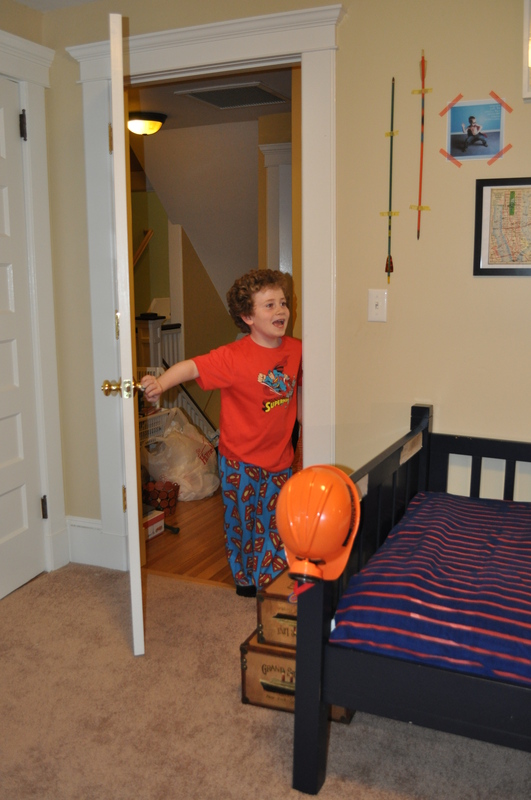 The pictures of Kevin seeing his new room say it all – it’s wonderful! 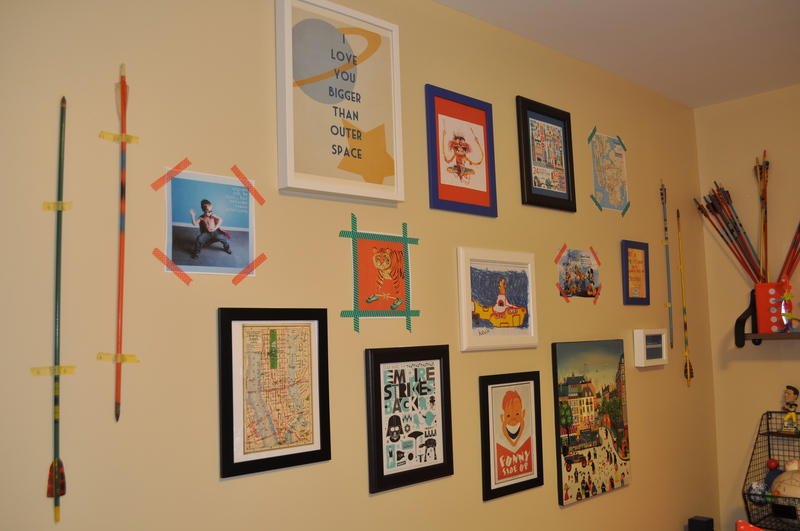 My favorite part is the gallery wall – love how you used the washi tape! 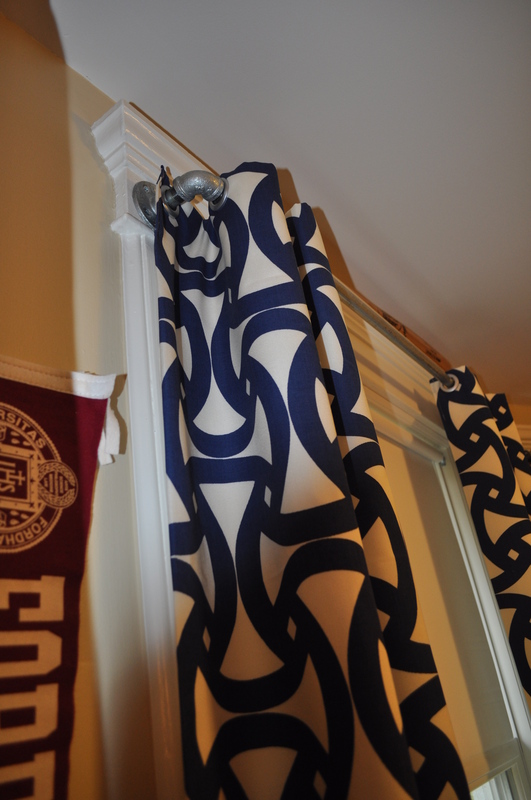 And that drapery fabric rocks!! Thanks! Kevin was psyched! The gallery wall was fun to do! Fabulously fox-tastic job Kate!!!!!! I can see why the other babes are so glum not to have a space like Kevins! 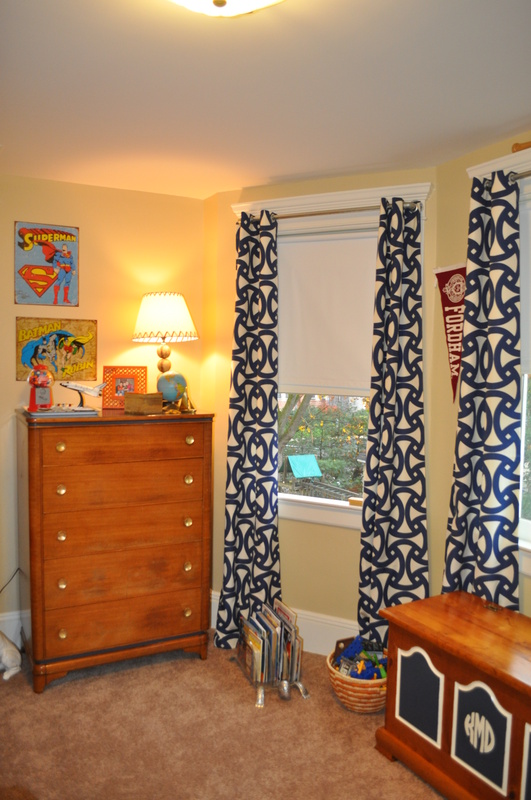 Love the details in this space, from the window treatments to the gallery wall, you did a terrific space! 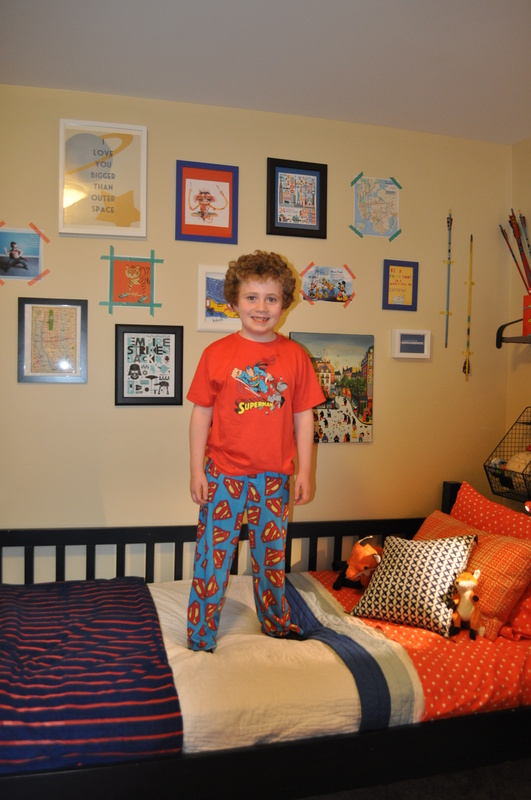 Can’t wait to see what you do with your other kid’s rooms! CHEERS! This is a great room. 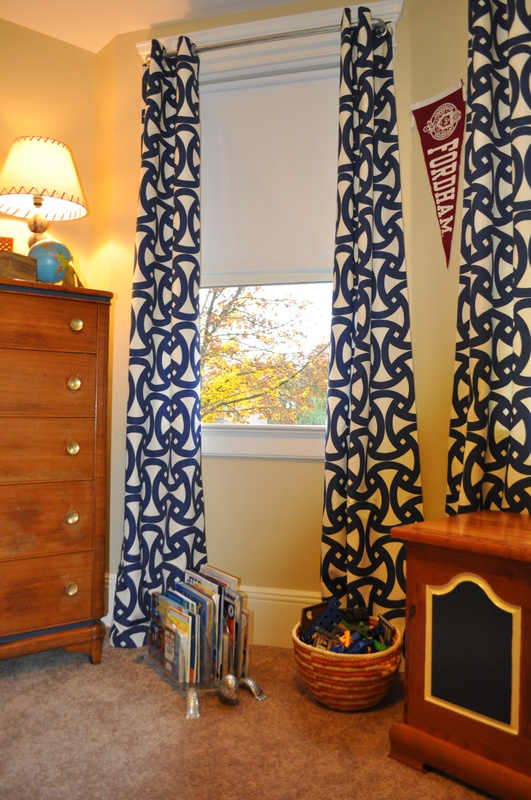 Love the colors, the curtains are fab and the bedding….wowza. 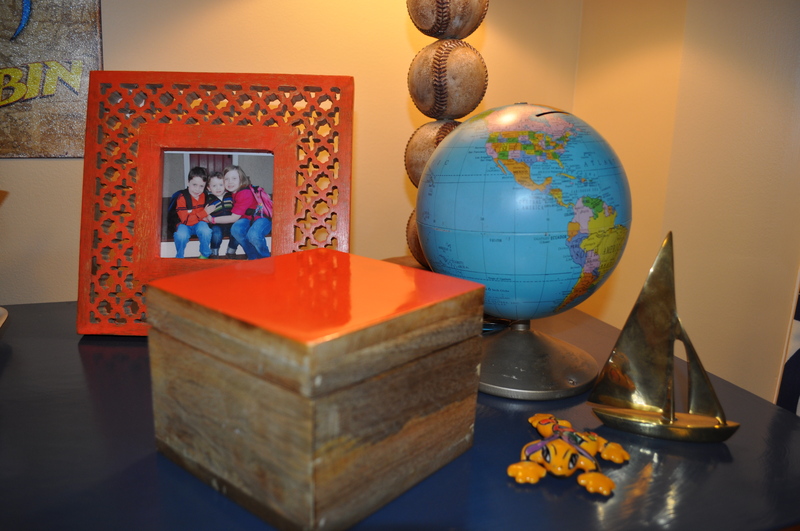 Love that you thrifted….painted…..and recycled. The look on your other kids faces is priceless!!! LOL! Thanks so much for your kind words! Gorgeous room! Love the colors and that incredible window fabric! You did a wonderful job! Loving the fun colours and that gallery wall is awesome! 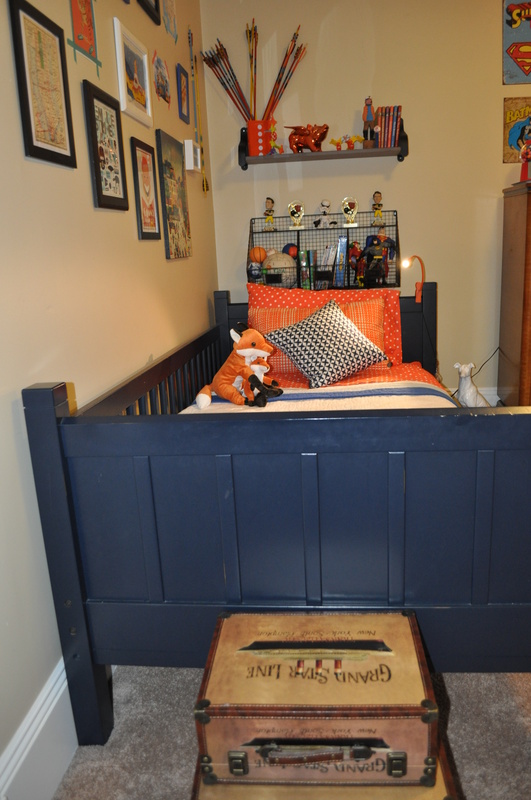 Such a great transformation and so appropriate for a boy’s room without being too ‘childlike’. You did a great job!! 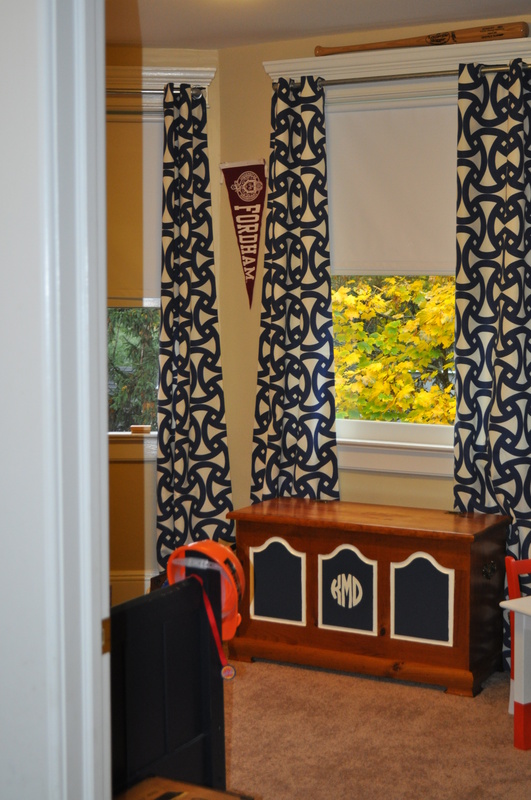 I love the drapery fabric and the look on Kevin’s face when he saw the reveal! !